I have vague memories of this, but only after Mom reminded me. Somewhere there are pictures of her as a kid in front of it. (someone in the family must have those?!?!?) I can't seem to find any info on why they do it, other then the fact that they always have. 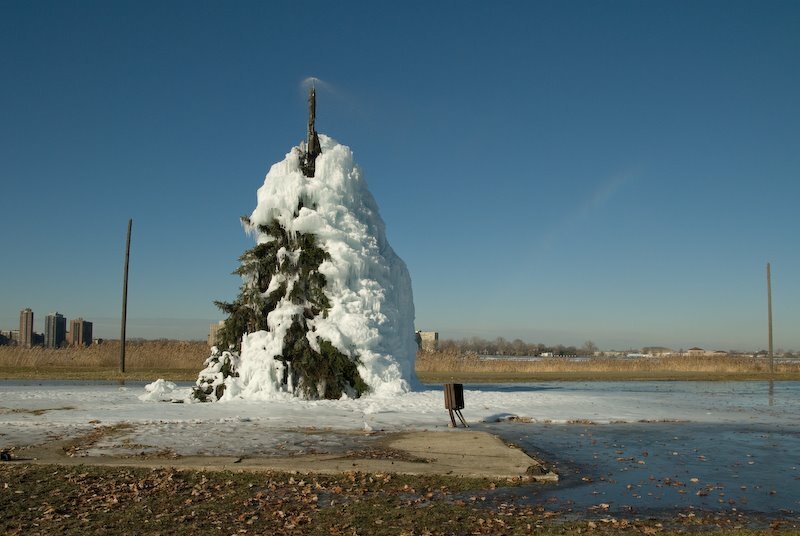 "A familiar winter sight is the 30-foot-tall ice sculpture near the beach, which is created by the construction of a supporting framework of poles and brush and maintained with a steady stream of water. It looks a bit like an abstract pine tree or an ice-rocket ship; a kind of impermanent, ever-changing piece of art."